Protecting your home or business is a basic human instinct – you’ve worked hard for what you have. Why would you jeopardize that? At Valley Lock Company, we’re dedicated to providing you true security and peace of mind. When you know you’re safe and secure, you can rest easily. For over 30 years, Valley Lock Co. of St. Charles, IL, has been a trusted locksmith, safe dealer, and deadbolt supplier to customers throughout Fox Valley. 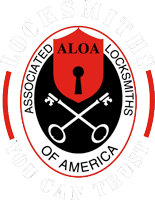 Our professional locksmiths are highly trained in standard and electric lock installations and repairs. You can trust us to protect your home, family, and business. We set ourselves apart with unwavering integrity and a strict code of ethics. Whether you are locked out or need to change your locks fast, our expert technicians can get there quickly. We also specialize in master key systems, high-security controlled access, electronic locks, and exit-control systems.